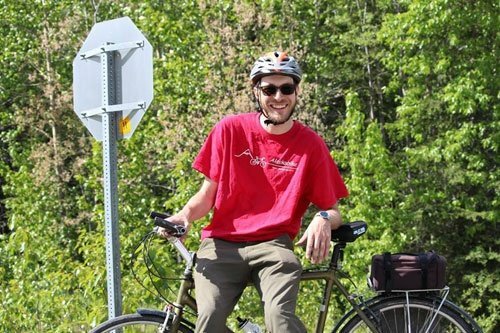 Fully Supported Bicycle Tours of Alaska! 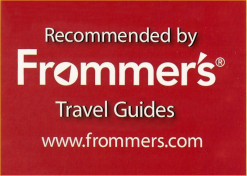 Frommer's picks Alaskabike as one of the top ten bicycle tours in the world! "WOW! Thank you for your absolutely wonderful 5 Star+ Alaskan Adventure tour. 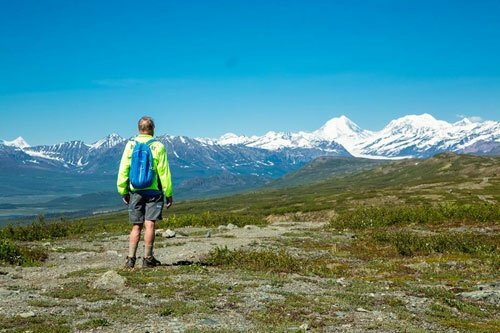 We have dreamed of visiting Alaska for over thirty years. 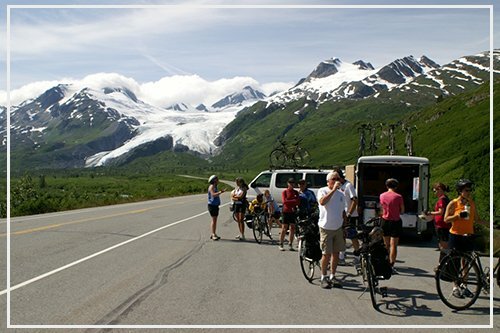 Your Alaskabike tour, knowledge of Alaskan culture, and caring attention to our needs exceeded our expectations. 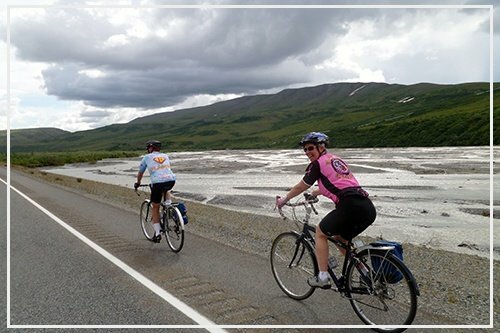 Your multisport tour provides a unique, balanced way of experiencing the beauty of Alaska's people and their environment." We are Alaskans. And it does make a difference. Outside companies base their tours around the "best known" parts of the state. Even in a state as large and empty as Alaska it is possible to find a crowd. Industrial tourism flushes huge amounts of people into and out of a few small area. Such areas necessarily become famous. And such fame draws even more people. Away from these 'famous' areas is a huge and magnificent state with trails and roads much less traveled. 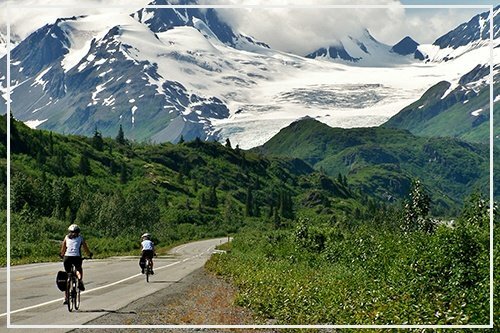 After 25 years of taking thousands of travelers across this state we have heard overwhelming agreement that out there lies some of the best bicycling in the world! What Does fully supported mean? What does fully supported mean? Simply this: You ride your bike, and we take care of everything else. 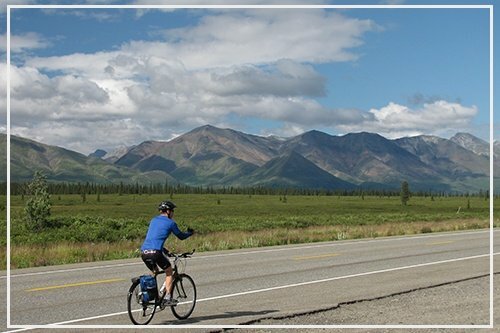 At Alaskabike, we feel the tour activities are plenty for you to do so we set up roadside snacks, feed you lunches, and of course, forward your luggage to your hotel!